John is truly one of, if not the most, underrated musicians out there. Anyone that doesn’t know him outside of Zombie and Manson is missing out. He nails every genre and puts on an amazing live show! Can’t wait to see him on tour again soon! This guys shows how amazingly diverse he can be and showcases each style magnificently. There's nothing he cannot do! Just buy this already and enjoy!! 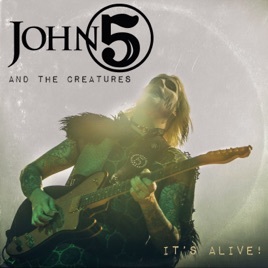 There’s nobody quite like John 5. One of the most gifted guitarists and musical genius of our time. Who saves music careers as well. Give up for the devil with the golden fingers.